When we talk of stocking up our iron levels by way of dessert, we focus mainly on nuts and oilseeds as a major source. Figs, almonds, walnuts, sesame seeds and garden cress seeds are a few examples of nuts and seeds brimming with iron. Anjeer and Mixed Nut Barfi, Date and Sesame Puranpoli, Halim Ladoo. 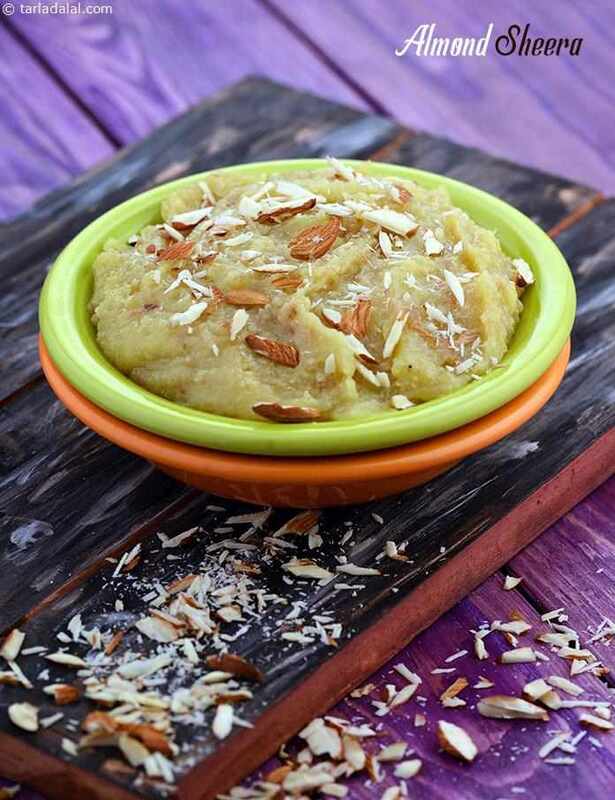 Almond Sheera is great for your kids and rich in Omega 3 fatty acids. A few more interesting recipes made using Iron rich cereals and pulses are Nachni Ladoos and Poha Phirni. These desserts source their sweetness from natural ingredients like dates or honey or some amounts of jaggery which is again a good source of iron. However, a wiser option is to always consume sweets in moderation and also look at other ways of making up your iron requirement. A sugar-free dry fruit barfi without any cooking made in a jiffy. Just ensure you finely chop the dry fruits and dates for best result.